Over the years Target has released some great ‘Designers for Target’ collaborations and the soon to be released Dannii Minogue Petites collection is no exception! The stylish mum and judge of Ch 7’s X Factor has paired with Target to release a collection with petite body shapes in mind with a fairly wide range of sizes. A lot of people associate the word ‘petite’ with being skinny as well as being of a smaller stature, but that is not the case with this collection, as the range will be available in sizes 4-16. With my height being just under 5’7” I would hardly be considered ‘petite’, however there are a few pieces in the collection that I think I could work into my wardrobe. I sometimes find that clothing that is not labeled as petite can make me look shorter, even though I have an hourglass body shape. My shoulders aren’t very broad either, so suit jackets or blazers can sometimes look boxy or too big on me. Below are some of my favourite pieces, that I will definitely be checking out when the collection hits selected Target stores and online on August 7th. I love swing tops, but sometimes I find the ‘arm holes’ can be too big and I don’t like that you can see your bra under them! Hopefully, being designed for petite frames, I won’t have this problem in the top above. This top also comes in white (below). 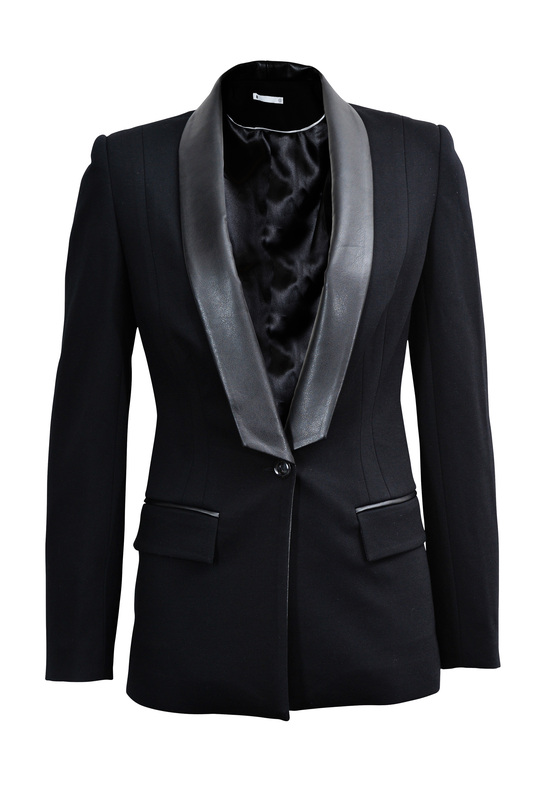 I absolutely adore this blazer! My arms aren’t particularly long (in proportion to my height), but I think if I go up a size to what I normally buy, the sleeves will fit me better. 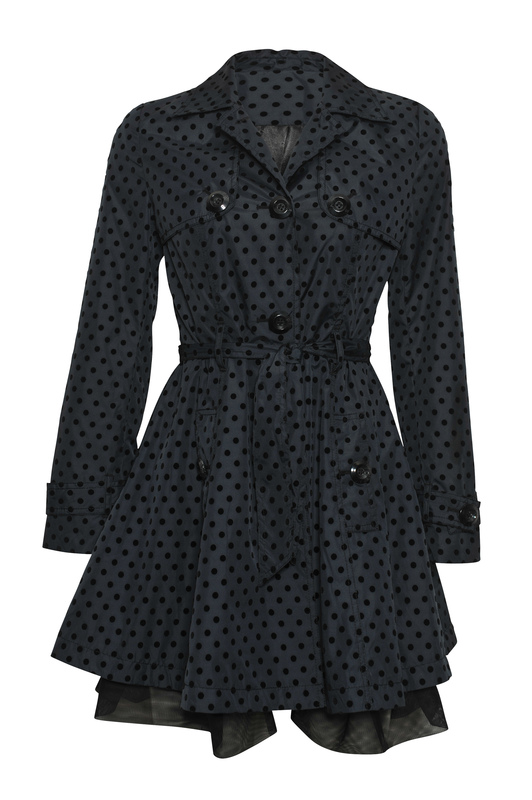 My most favourite piece in the collection is the spotted trench, so pretty and lady-like. Again, hopefully the sleeves will fit okay on me. I might just cry it doesn’t fit me right! The Dannii Minogue Petites collection for Target will launch in-store and online on August 7, 2014. The first collection will be followed by two more in the six months following and will be available in selected Target stores across the country as well as online. Prices will range from $39 to $89. Will you be checking out the collection? Would you like to dress like a royal? More specifically, Duchess Kate…below I have recreated some of the outfits Kate wore, while visiting New Zealand and Australia. I was a little disappointed that Victoria didn’t get a royal visit this time, but I still enjoyed following their journey via the news updates and morning shows, and loved seeing what stunning outfits Kate wore each day. The outfits of course aren’t identical, but they are very similar in style. I loved all of Kate’s outfits, but this is definitely the easiest to recreate. A simple striped top paired with a tailored blazer and cropped skinny jeans are a classic look that work well as a transeasonal outfit. While this Target dress is not identical, it shares the same theme of blue flowers on a white background. Kate’s neckline is a little more modest, but the Target dress is still a classy option. I was shopping at Big W last night with my mum and this Lee Cooper white dress caught my eye. I even mentioned to my mum how it reminded me of Kate’s Zimmerman dress, that she wore to a few events. It says on their site that it isn’t available online or in-store, but the rack I saw at my local Big W looked like it was newly stocked, so it may still be available at some stores. Which of Kate’s outfits (during the Aussie/NZ tour) were your favourite?